He is described to be the color of Lapis Lazuli sitting in Padma-asana sanskit. or the lotus position and holds and bowl and a branch of Myrobalan latin. terminalia chebula. which is believed to be the supreme medicinal plant. 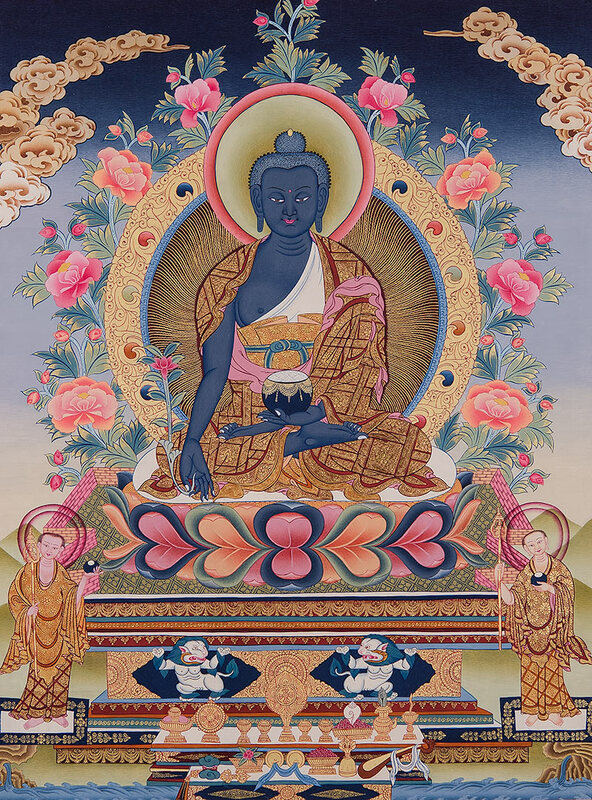 The Medicine Buddha is perhaps one of the most profound of the Buddhist pantheon. His compassion is such that, he is believed to have made a series of 12 vows upon reaching enlightenment, each specifically aimed at reducing the suffering of all beings; physical, mental and spiritual. It is for this reason that he is found across every form of Buddhism today, and referenced for the very same reasons in Hinduism. In Tibetan medicine illness are classified in a very different system to western medicine and often treatment is plant based. The patient will also be given a series of recitations of prayers to the Medicine Buddha, as illnesses are believed to have some spiritual roots. 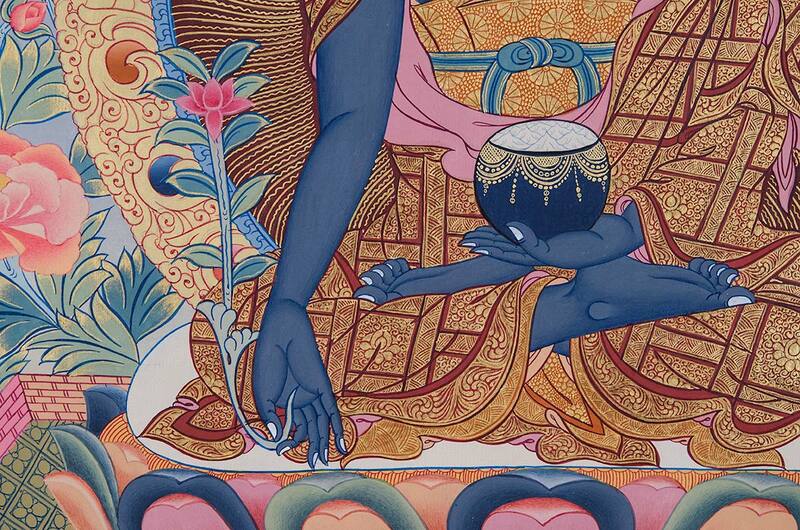 Each thangka of the Buddha of Medicine is believed to have to power of healing by its very presence. Painted with mastery and skill we carefully pick these Thangkas to bring you some of the most perfect interpretations of this motif.